The yearly maximum is an important figure to know. This is the most amount your dental insurance plan is willing to pay for your dental work in one year. You should know your yearly maximum and make it your goal to reach or exceed it each year to utilize your benefits to their fullest potential. The average yearly maximum is around $1,000, but it can vary from plan to plan. Your deductible is the amount you have to pay out of pocket before your insurance will cover your dental costs. 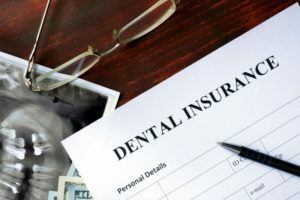 You may have a higher deductible if you see an out-of-network dentist, and this fee will vary based on the plan that you have. The average deductible is around $50 a year, per person. If you pay premiums out of each pay check, you should definitely cash in on your benefits. If you don’t see your dentist before the end of the year, all that money coming out of your paycheck is going to waste.Even if you don’t have any dental issues, you can see your dentist for routine checkups and cleanings to prevent oral health problems like gum disease and oral cancer. Preventive visits like checkups and cleanings are usually covered by most dental insurance companies. That’s why these visits are great ways to utilize your benefits before the end of the year. Many people avoid seeing the dentist because they are afraid of the cost or treatment needed. The problem is that when you put off dental visits, you’re putting yourself at a higher risk for more expensive and involved treatments down the road. Utilizing your benefits before January 1st is a great way of saving money, but it can also save you from potential harm that will cost you more in the future. Now that you know why it’s so important to use your benefits before the end of the year, do you have an appointment scheduled? Talk to your dentist in Keller about how to utilize your insurance benefits and schedule a visit before New Year’s is here! A graduate of the prestigious Herman Ostrow School of Dentistry at University of Southern California, Dr. Shweta Sinha is a highly-trained dentist who enjoys helping her patients smile. She accepts a wide variety of dental insurance plans to provide quality, yet affordable dentistry. She currently practices at Smile: Refined Family Dentistry, and she can be contacted through her website or by phone at (817) 431-6400 for any questions.